Most small corporations in the U.S. are closely held. What does "closely held" mean? A closely held corporation sometimes called a "close corporation," is a corporation in which more than half of the shares are held by just a few individuals.​ ​Inc.com says, "Over 90 percent of all businesses in the United States are closely held." A closely held corporation, by definition, is a private corporation. That is, its shares are not traded publicly. In this case, if one of the shareholders wants to sell some or all of his/her shares, the sale must take place with one of the other existing shareholders, since no public sale of shares can take place. A closely held corporation may be a private corporation, but a private corporation may or may not be closely held. The shareholder agreement describes how decisions are made, and the agreement places restrictions on the sale of stock. The major benefit of the close corporation is the less formal operation, saving time and paperwork. The major drawback of the close corporation is the limitation on the number of shareholders (set by federal and state law) and the restriction against selling shares to the public. A Close corporation makes sense when the shareholders are also the people who serve as the corporation's board of directors and corporate officers. In a Close corporation, all management decisions are made by the shareholders ... because they are typically the people who are in charge of running the business. While the Close corporation offers many advantages, it may not be appropriate for all start-up businesses, especially if the goal is to immediately build a business where shares of stock will be offered to the public. In that case, the standard "General" corporation may be the right choice. Closely held corporations have different, and more complex, tax rules for their owners (shareholders). For example, passive activity rules apply to taxes on owners of closely held corporations. 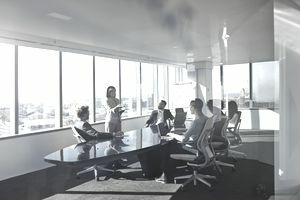 If the corporation (no an S corporation) has a loss, shareholders who do not actively contribute to the activities of the business may not be able to claim the loss. The IRS distinguishes between active participation and passive activities. If a shareholder just has stock in the business and doesn't serve on the board or work in management, that would be considered passive activity. This issue is complex; you can find more information about passive activities and business losses in IRS Publication 925. Check with your professional tax advisor before making any decisions about setting up a closely held corporation or paying corporate income taxes. For more information about federal income taxes and closely held corporations, IRS Publication 542: Corporations.